ICANN Email Archives: [comments-new-gtld-auction-rules-16dec13]: "We are deeply concerned about the implications that the Auction Rules in the gTLD program may have for the protection of public policy interests, competition, openness and innovation. As a general principle, ICANN should implement Auction Rules that are consistent with its Bylaws, its non-for profit status, the objectives of the new gTLD Program and the Applicant Guidebook to promote competition, diversity, innovation and consumer choice. As expressed in several comments already submitted during the comment period, the current Auction Rules are advantageous for portfolio applicants rather than for small, innovative and community applicants, which is at odds with the “diversity and innovation” policy that ICANN seeks to promote. It would be desirable to give these applicants a more even playing field when they come up against larger portfolio holders in the contention process. Also, ICANN's auction rules has not yet proven convincing to the community and deserves being revisited in light of the input received." In its typical (curt and arrogant) fashion, ICANN has blown off the letter sent to ICANN by Ron Andruff, Marilyn Cade, Olivier Crépin-Leblond (on behalf of the ALAC Leadership Team), Alan Greenberg, and Evan Leibovitch. 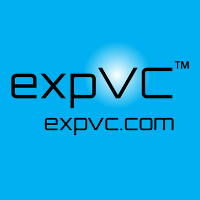 You can find the report of the original letter here: expVC | expvc.com | domain name news: ICANN chastised by Ron Andruff, Marilyn Cade, Olivier Crépin-Leblond, Alan Greenberg, and Evan Leibovitch .
" . . . As you are aware, the ICANN Board’s New gTLD Program Committee (NGPC) considered the GAC Category 1 Safeguard Advice at its meeting on 5 February 2014. As part of its deliberations, the NGPC considered applicant responses to GAC Advice as well as input from the community, including your Policy Advisory Board model proposal. The NGPC ultimately adopted a resolution adopting the GAC Advice, available at (http://www.icann.org/en/groups/board/documents/resolutions-new-gtld-05feb14-en.htm#1.a), along with the implementation framework (http://www.icann.org/en/groups/board/documents/resolutions-new-gtld-annex-2-05feb14-en.pdf). In its final actions on the GAC Advice, and after having considered the GAC Advice and community input, the NGPC did not adopt your Policy Advisory Board model proposal. . . ."
Crimes of the Heart: A Trademark Valentine To Betty Boop | Foley Hoag LLP - Trademark, Copyright & Unfair Competition - JDSupra: " . . . Professor McCarthy argues that the doctrine applied literally could “negate protection for all trademarks.” McCarthy also asserts that the doctrine is unnecessary: in the case of the candy box, for example, the heart shape is generic and therefore not enforceable as a trademark in the first place, so we don’t need a confusing new doctrine to get to the right result. By 2006, even though the doctrine arguably had been endorsed in at least one Supreme Court opinion . . . ."
A Few Data Points on Domain Name Prices | David Cummings on Startups: "Entrepreneurs that have been in the software world since the dot com days love a good domain. Now, we’re seeing more .co and .io domains but .com domains are still the the most sought-after and most expensive. Over the years, I’ve purchased several domains at auction and helped other entrepreneurs acquire domains. Here are domains I’ve purchased or been an angel investor in the startup at time of domain purchase along with their price . . ."
Bottom line: if your optimal NameDotCom (or preferred domain name alternatives) is "not available" for registrartion at a registrar -- No Problem -- your domain name of choice may still be available! Go to the whois to find owner and make offer, or find a domain broker or domain name consultant to help you, or look at NameJet, Sedo, Afternic, Domain Name Sales and other sources to find and buy your domain name. And don't listen to the noise and misinformation--there are still plenty of good dot com names available, many at very reasonable prices! Domain Mondo | domainmondo.com: EU Pushes to Globalize Internet Governance, Goodbye ICANN? : EU Pushes to Globalize Internet Governance - WSJ.com: "The European Commission, the EU's executive arm, will propose on Wednesday the adoption of "concrete and actionable steps" to globalize essential Web functions—including the assignment of so-called top-level domain names, such as ".com" or ".org"—that remain contractually linked to the U.S. government, according to a draft policy paper seen by The Wall Street Journal...."
CentralNic Appoints Experienced Domain Name Executive As New CFO - Finance News - London South East: "Internet domain names company CentralNic Group PLC Monday said its has appointed Glenn Hayward as its Chief Financial Officer. In a statement, the company said Hayward has experience in the industry, joining from Nominet, the company responsible for the .uk internet domain...."
ICANN: "Brands Are At Risk of Domain Abuse With New Top Level Domains." ADVERTISERS: "That's exactly what we said when you, ICANN, started this!" It seems even "protection rackets" have their limits. Domain Suspended or Deleted for Non-Response to Whois Inquiry | ICANN: "The 2013 Registrar Accreditation Agreement (RAA) requires ICANN-accredited registrars to comply with the Whois Accuracy Program Specification. This specification requires a registrar to take action when a registrant does not respond for over 15 calendar days to a registrar's inquiries regarding the accuracy of contact details or Whois data associated with the registration. The action can be to terminate or suspend the non-responsive registrant's domain name, or to place a lock on the domain name registration until the registrar is able to validate information provided by the registrant. These requirements only apply to registrars under the 2013 RAA. Registrars still under the 2001 or 2009 RAA do not have this requirement. To determine which RAA version applies to a registrar, visit the ICANN-Accredited Registrars page, which lists the RAA version for every registrar. If your domain name was suspended, terminated or locked, and you timely responded to a registrar's inquiry regarding the Whois data for the domain name, please submit a Whois Service Complaint Form." Make sure your Whois info is correct and up to date. and if you looked at actual web traffic? Dot Com has even more dominance. Episode 004: We've Got Domains On The Brain With Domain Strategist Nadia Pessoa from bizworkTV on Vimeo.